The current version is far behind today's possibilities of digital TV. The client has their vision and technical solution how to sort the content. And here starts our job. 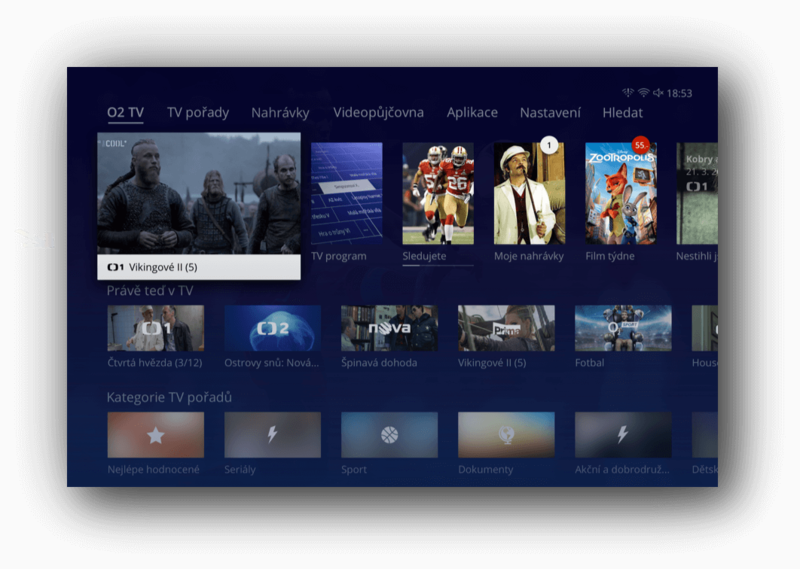 We analysed an extensive research conducted on 250,000 users and uncovered the most visited sections of the TV. Additionally, user testing showed the main issues to fix: bad focus, confusing menu, users having troubles within the player mode, channel lists and personal records being uneasy to find. What are the most important features the user wants? What is a tolerable amount of information? 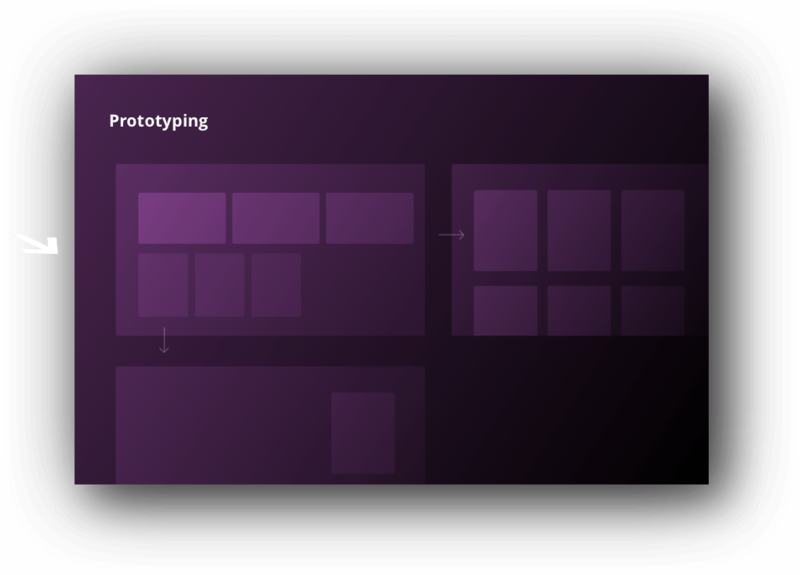 We started with a raw structure, wireframes, continued with designing elements. It led us to the line layout vertically sorted from the key elements to the less important ones. The target product of this phase was a testable prototype. You don't know what you've created until you try it in real life. 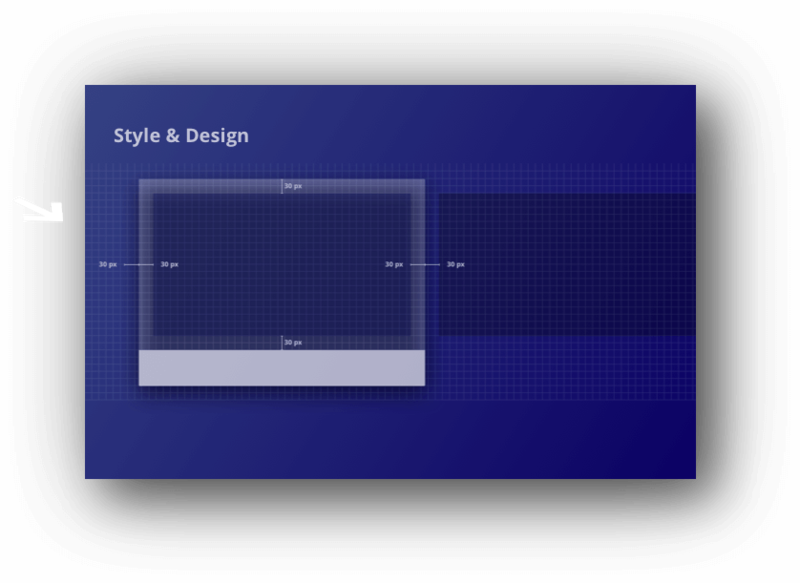 Our interactive Axure prototype gave people almost real experience of a TV interface.  Animations navigate the user through the interface. 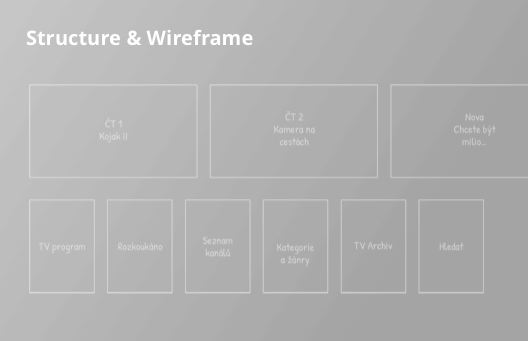 Framer helped us to refine animation principles. HTML determines feasibility limits. People will find the show they want to watch more easily and they don't have to wait for the show to find them. 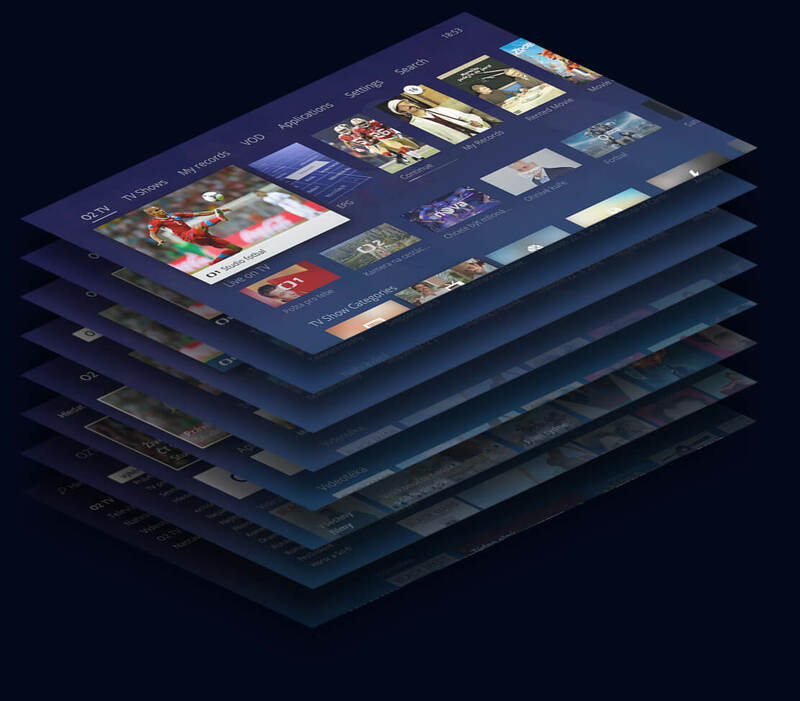 The TV content can be browsed through time and also through the program categories.